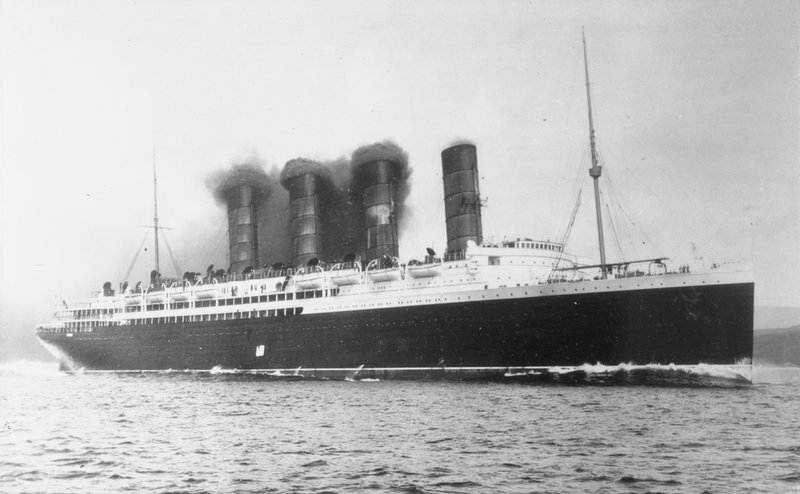 May 7th will mark the anniversary of the sinking of the Lusitania. But did you know there was a link to the sinking and Passage East in Co Waterford? Well, if you didn't that makes two of us. 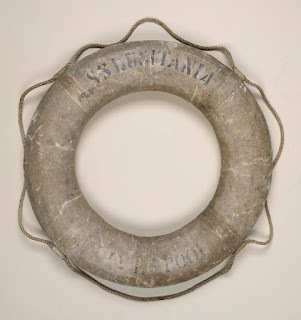 I got a call last year from the cousin, who had heard that there was a life ring from the stricken vessel in the Merseyside Maritime Museum of Liverpool. No surprise that, but what was, it's on loan from a person originally from Passage East. We were both curious to know the back story. The Lusitania began construction in 1903 at John Brown & Co Ltd, Glasgow and had her maiden voyage in 1907 for the Cunard line. She was built with the intention of being the fastest liner afloat, and she earned the nickname "Greyhound of the Seas" with an average speed across the Atlantic of 24 knots. On the 1st May 1915, she departed New York bound for Liverpool. It was her 101st voyage. The threat of U Boat attack had reduced her passenger list, but there were still some 1,959 souls aboard, including 702 crew. On the morning of 7th May, the ship approached the Irish coast. At 14:10 a torpedo fired by the German submarine U 20 slammed into her side, the ship being at that point off the Old Head of Kinsale in Co Cork. A mysterious second explosion ripped the liner apart. The ship listed so badly and quickly that lifeboats crashed into passengers crowded on deck, or tipped out those passengers who had managed to get aboard. Within 18 minutes the giant ship slipped beneath the sea. 1,119 souls perished. That number was estimated to include 140 Irish, 70 passengers and 70 crew. A massive rescue operation got under way from the Cork coastal area and was controlled from Cobh, or Queenstown as it was then called. Scenes of utter devastation followed as men, women and children were laid out on the quayside for identification and spouses or parents rushed between the corpses in the hope or perhaps fear, of identifying a missing loved one. And the connection to Passage East. Well from what I learned, a fish merchant who resided in the village named Arthur Miller had taken the trip to Cork to meet skippers of fishing craft in the hope of extending his business and negotiating the rights to buy and export their catches. Miller who was previously an agent for the Billingsgate fish market in London had come and settled in Passage East. He had set up his own business, which at the time was thriving and was exporting vast quantities of herring and kippers and other types of fish. 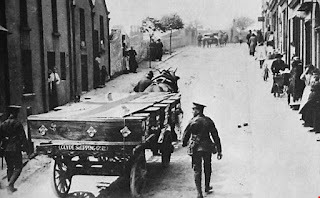 As he waited on the quay at Kinsale, to meet the skippers, the fishing boats returned, but instead of fish, they carried a human cargo, those lucky enough to have been plucked alive from the Atlantic, and I'm sure many others who had not survived. Going home to Passage that evening he brought a life ring from the vessel, which would later hang in his office in Passage until his business closed. 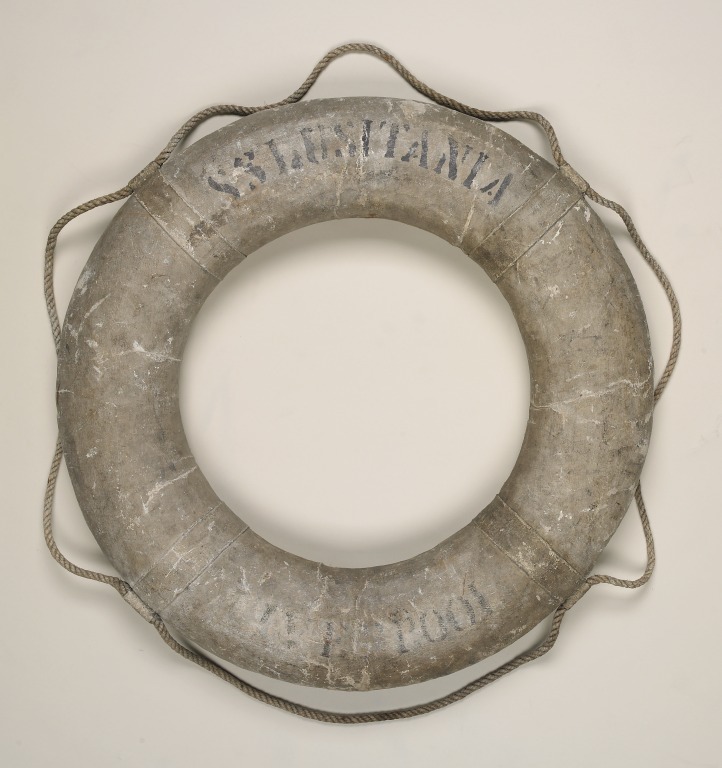 The life ring is now at the Merseyside Maritime Museum, displayed as part of their Lusitania: Life, Loss, Legacy exhibition.